We all eat at restaurants, go to stadiums, and walk down the street. The tragically successful terrorist attacks in Paris highlight the vulnerability of the human condition at any instant. While this has always been the case, and will continue to be so, civilization, and human progress, over past centuries and decades, reduces the chance of random death from a vulgar, inhumane cause. Radical Islamic terrorism is so deplorable because the aim is to destroy, to undo, to move backwards in time, and to return to a harsher world. The impossibility of the ultimate success of the radical Islamic movement is matched with the fervor of the very small percentage of the world population that supports this movement. To create the scale necessary to carry out such large scale attacks, the movement feeds from hatred, disenfranchisement, ignorance, and religious zeal. The movement itself provides a purpose for participants with different values and a different moral compass. The progress of open society, and technology, puts the world at danger from this threat to a greater degree than any time in history. Decades of multiculturalism around the developed world, particularly in Europe, create the conditions for radicalism and terrorism to spread, become more effective, more pervasive, and more frequent. Paris, and the world, will endure, overcoming radicalism with resources, technology, and resolve. However, the world will need to adapt, and become a harsher place. The USD will continue to strengthen as a global safe haven currency. While not immune to terror attacks, the lack of major terrorist attack in the US since 9/11 is notable. Distance from the Middle East geographically, and a relatively stronger economy/corporate sector will exacerbate USD inflows. Russia will more aggressively protect its interests and borders. Western powers may be forced to look the other way on Russian military tactics against ISIS. Oil will destabilize. A strong USD will put downward pressure on oil prices but volatility will remain high with Middle East tension remaining high. EM will be negatively impacted from USD strength, capital flight, risk aversion, and potentially lower oil/commodities. Global equity markets recovered strongly, perhaps too strongly, and will be pressured/volatile moving forward (valuations are high). Monetary policy becomes less clear in the US. Another excuse for not hiking? Monetary policy becomes more clear in the rest of the world. More stimulus will be needed, sooner. CJF, seems to me that the terrorist attack will not alter any trends, but amplify existing ones, such as the strong dollar, and relatedly, more stimulus in Europe. So, overall, I agree with your assessment. 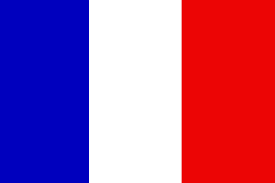 One comment though, of a non-substantive nature — you post an image which is apparently supposed to be a French flag (the tricolor) in which the three colors should be of equal width but the red band appears largest, and the white larger than the blue. What’s up with that? Good catch on the French flag Chowda….bizarro flag not intended. I found some better clip art and just replaced the image.